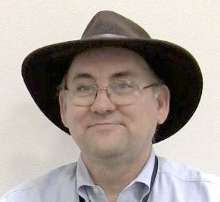 Normally I write several blog posts during a CSTA Annual Conference. Not this year. Why? Too much going on! The sessions I attended were very good and my time not at sessions was never boring. Lots of great conversations connecting with new friends and regular attendees. And the exhibits were worth the time as well. Let me start with the exhibits. I know that there are people with several different opinions about exhibits at conferences but I love them. This year there were over 40 exhibits and they were all relevant to attendees. What were my highlights? Well there was Rolls Royce showing off virtual reality technology that they use in manufacturing and development. They are a technology company make no mistake about it. They need our students. There were several exhibits showing robots with Wonder Workshop (makers of Dot an d Dash) having the largest exhibit. There was a session on the legal ramifications of using drones in education as well. There were very few sessions on using robots and programmable small devices though. Maybe that will change in the future as there seems to be a lot of interest in all of these things especially in K-8 CS education. Social media was a big topic with a lot of people tweeting at the conference and a Birds of a Feature that included a short mini Twitter chat. I did tweet a good bit myself. The conference hashtag was #CSTA2017 and you can look for people’s tweets to see what others were interested in. Conversations for me were wide ranging. Talks about these cool new devices. Chats about the growth of CS for all and what that means. How we teach different things. What different things. I talked to a number of people about AP CS Principles. Most of us agree it can be a really good course that is rigorous and interesting for both students and teachers. So many ways to teach it though! A few other observations. I didn’t see as much interest or discussion of mobile phone development. Yes, people are using App Inventor more (or so it appears to me) but they are not as focused on phones. I didn’t hear any iPhone talk. That I didn’t hear something doesn’t mean it wasn’t talked about of course but I do hear a lot. There was more talk about AP CS Principles than AP CS A. Maybe all the APCS A people feel more established in that course but of a lot of us are still working our way though Principles. Interest in CS is sure growing. That we had 650+ people suggests that alone. And industry is being supportive with something like 150 people getting funding help from Infosys Foundation, Google, and Rolls Royce to attend. That’s all good. It feels like there were more K-8 teachers this year as well. That is a fast growing area in CS education. All in all I think I picked the Computer Science Education Things I’m Watching in 2017 back in January. Movement on all fronts. 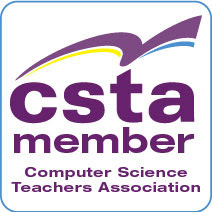 We’ll see what happens in September and the new school year but I think the CSTA Conference is still a leading edge professional development experience for CS educators. Were you at CSTA? There was much to much for any one person to see it all. What were the things that moved or interested you there? This was my first CSTA conference so I don't have context but I'd guess that the APCS-P focus had something to do with the buzz being the new kid on the block, the fact that many APCS-A teachers probably also do APCS-P and this is one of the first years they had people to discuss this with and also probably the conference organizers -- there was little (to my eye) for advanced teachers in the program and that might also have skewed the expectations coming in. Lots of robotics -- I avoided most of these sessions - not because I wasn't interested but because I'm not in a situation where I'll do anything with them in the very near future. Lots of Cybersecurity - I wanted to get to some of this but wasn't able to. Lots of beginner stuff - already addressed. Lots of standards / framework stuff -- I'm preparing a blog post or two. I enjoyed the session on personal learning networks. I can't say I got much out of it given that I'm in the later years of my career but I think it was terrific for newer teachers. I left a couple of sessions feeling that people gave a "this is my story" talk but didn't really leave the attendees empowered to do things themselves. I wondered if this was common. Stuff for the very advanced is always in short supply. And there are many more people who need the less advanced stuff. Maybe we need a Birds of a Feather for the people who are very advanced or who teach courses beyond AP CS? I personally was looking for Cyber security curriculum that I could offer students AFTER AP CS, but I was not successful. Sounds like this may be something yet to be developed?? ?